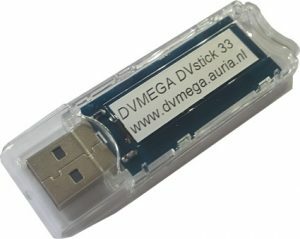 The DVMEGA DVstick30 is the successor to the DVMEGA AMBE. The DVMEGA AMBE remains available because it has the possibility to convert analogue audio directly into AMBE data without the intervention of other hardware. The DVstick 30 is the perfect combination of the AMBE-3000™ vocoder and USB interface. Using BlueDV and the DVstick30 you can make a QSO without a radio. All you need is a Windows PC with soundcard, microphone, speaker and a DVMEGA DVstick 30. The communication speed can be set by means of hardware configuration. This makes the DVstick 30 extremely flexible and backwards compatible with existing software such as Dummy Repeater and AMBE server. The DVMEGA DVstick33 is based on the AMBE3003. DVstick33 can do 3 channels transcoding for XLX systems. DVMEGA AMBE3000 shield fits on top of an Arduino MEGA. This board is equiped with a AMBE3000 Vocoder and PCM3500 Codec. The PCM3500 converts the analog microphone signal into a digital stream (PCM). And that, conversely, the digital PCM stream is converted back into an analog audio signal. The digital PCM format is 8Khz with a depth of 16 bits. This would be an amount of data of 128000 bits per second. Not suitable to be sent via a 4800 bps radio connection. The AMBE3000 Vocoder makes of 128000 bps a digital signal of 3600 bps. This is the voice information and error correction codes. These error correction codes make it possible to restore a signal which arrives corrupted at the receiver station up to a certain level.